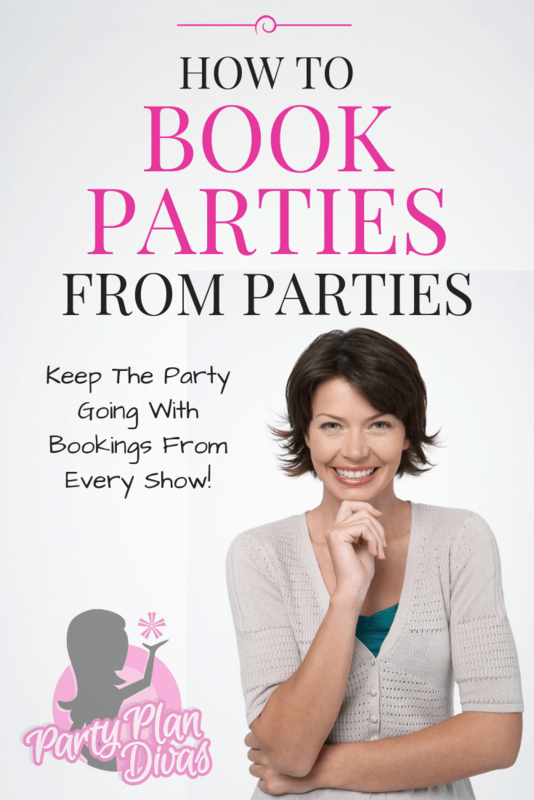 Learning how to book parties from parties is an important part of keeping your direct sales business moving forward! Here are some easy ways to fill your calendar with parties booked from other parties. The #1 best way to book parties from parties is to have a fantastic party presentation. When your guests learn something, have fun, and simply enjoy the experience, they will want to do it again and again. Spend some time perfecting your Direct Sales Party Presentation. There are many variations of Booking Games, with the most basic being a simple “Book to Look”. Other Booking Games can include the Lei Game, Booking Tic Tac Toe, etc. Check out our full list of Direct Sales Party Games! 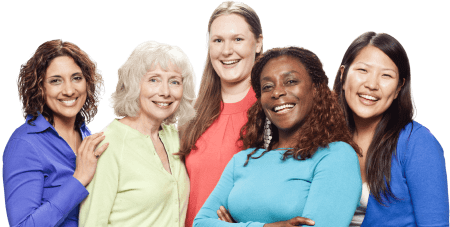 As with the Opportunity, you will want to make mention of the Hostess Rewards at least 3 times during the presentation – generally, the beginning coming back after the break, and at the closing. When you mention the benefits of hosting throughout your presentation, it will make asking for the booking easier when you are in the Ordering Room. Women love to be spoiled and doted on – so spoil your hostess! It will make the other party-goers want to be spoiled as well! Consider even getting little inexpensive tiaras or feather boas for her to wear to make her the Queen of the Night. This is very simple but seldom done. We always “mean to” but seldom do. In the ordering room ask every single person WHEN she wants to have her own party. Consider putting a sign in your ordering room that says “If I don’t ask you to have a party – I will give you $5” – to REALLY get yourself in the habit – make it $20! Your customers are going to rate their interest in having a party – ANYTHING over a 4 can be turned into a YES with the right incentive. Look at the items she has a star or checkmark by to entice her even further… whatever she wanted and didn’t get – THAT’S what is on special the night of her party. Especially if you drop ship, having a gift to take home the night of the party in exchange for a party booking is always a good idea. Your gift does not have to be expensive – but it does need to be something she will WANT – and something with a nice presentation – gift bag, wrapped, etc. A Party in a Bag is basically a jazzed up Hostess Packet. You will have everything from your Hostess Packet, along with some of the goodies she will need the night of her party. Visit your Dollar Market for these. Party In A Bag contents can include a box of brownie or cookie mix, dip mix, tea bags, balloons, etc. Put all of the contents into a Gift Bag and decorate with stickers, tissue paper, etc. Again, remember presentation is everything. When she books she will take home her Party In A Bag. 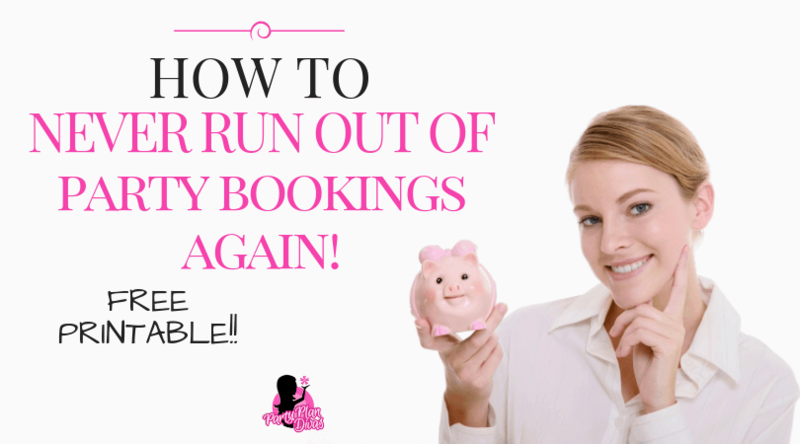 If you can not secure the booking at the party, do not fret. Simply log your customer in your Party Bank. The Party Bank will help you keep your calendar full all year long! Read all about How To Use A Party Bank and get your Free Printable here!